Cormac MacBayne wants a wife, and the witch, Edna Campbell, has the perfect woman in mind. The only problem is they're separated by 500 years and thousands of miles. 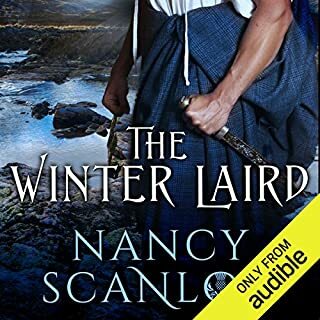 Fresh from a bad marriage, Jenna Sinclair has sworn off men - that is until a handsome highlander comes out of the fog and into her life. He's a mystery and possibly part of an elaborate practical joke concocted by her cousin. Jenna's had enough deception in her life. Can she risk everything to be with a man who is so obviously lying to her? 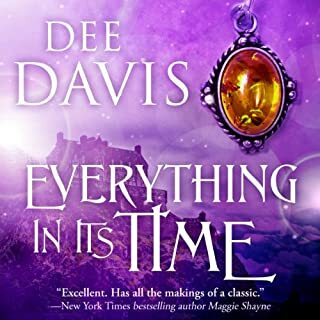 I am a time travel fan and lately most of my listening experiences have been intense, sometimes I have to go back to an earlier chapter because WOW there are either caveats I must relisten to in order to fully appreciate the timeline or to bask in the layers the author has painstakingly created ----- but this book is not one of those. It's a very simple time travel plot. Listening to this book reminded me of the movie "Blast from the Past" with Brendan Fraser. It has a similar lighthearted, improbable-but-hey-it's-fiction-go-with-it premise, with lots of comedy and lots of romantic moments. As I listened, I could so easily see it as a movie; seriously, it's perfect "Chick Flick" material. Paul Woodson handles the accents very well, having to flip from Scottish to American English dialogue all throughout the book, in both male and female voices. He delivers the humor perfectly. 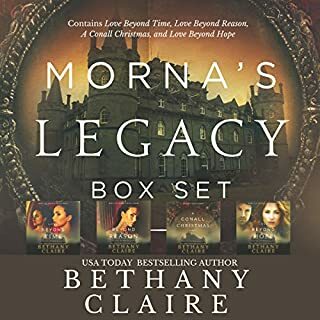 I just listened to another book where I had to stop what I was doing, jarred out of my listen because the narrator was mangling the author's work. Don't worry; that wasn't an issue here. I only have 3 stars to the story because ...although I am a huge romance book fan, this book didn't evoke any deep feelings from me. I didn't fall in love and cheer hard for the heroine or even fall absolutely in love with the hero, Cormac. Normally in romantic comedy books I want to have some swoonworthy moments, some "Aww!" but although I smiled and even laughed at some of the dialogue, even though there are SCOTTISH GUYS (how could that not be swoonworthy??) nobody is making my Book Boyfriends list from this one. I felt it went on a bit long; partway in, I was glad to have a Kindle so I could speed up the audio and get through it a bit faster but really? If you are looking for an easy listen, this book will keep you contentedly occupied for many hours without you having to do any heavy thinking or reflecting. 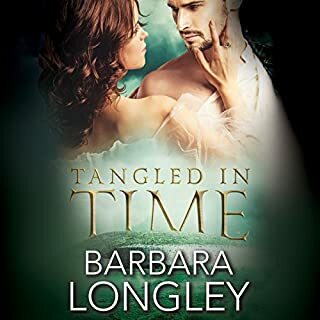 As with the first audiobook, I enjoyed this time travel romance with a twist. 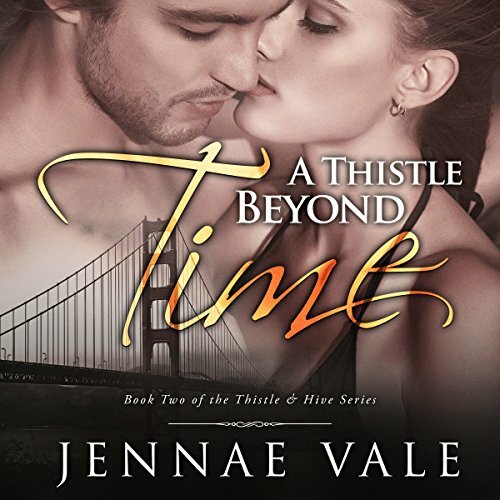 It is Cormac who time travels and find the one who is destined for him... he finds Jenna the future. We get to see again the previous couple and characters from the first book and find out what is happening to them. I totally recommend it especially that Mr. Woodson is narrating it. His voice is one that makes any story memorable. So waiting to listen to the next one. Needs to work on a sexier and truer Scottish brogue for leading male characters. Also, pick his pitch up for female characters. I do believe this narrator has a great future in front of him. Just a few adjustments to his performance would have the ladies swooning. I really enjoyed this story. Historical time travel / romance are my favorites. 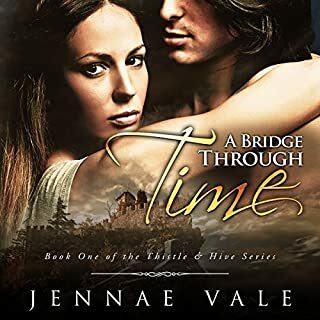 Author Jennae Vale really captures her readers and adds some great twists to her time travel books. Definitely recommend this book. Absolutely nothing compelling in this listen. I can't imagine wasting time with the rest of the trilogy. This was a long story with so much going on. a great one to listen to . it was complex and Paul did a great job as usual. I found the lead woman character to be unlikeable. The lead man was a saint to put up with her. 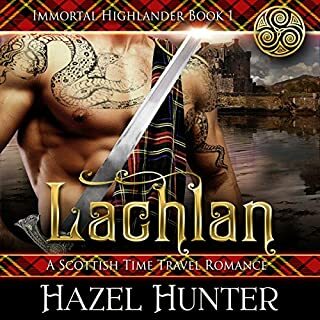 Fun time travel romances with all the elements, a gorgeous Scotsman, a clan in the 15 th century and a confused Californian who isn't sure what she wants.